What can be done? One option is student debt consolidation. Debt consolidation can possibly offer you a better interest rate on private student loans, the convenience of a single payment, and a longer repayment term. Take a careful look at the terms, because you could end up paying out more over a longer period, and that may not be what you wanted. Student loan consolidation combines several student loans into one loan from a single lender, who pays off the balances on the individual loans. Consolidation may also be used on a single loan to effectively refinance the loan. There are a few things you need to know about consolidating your student loans. First, the terms on federal student loans, especially the subsidized loans, are generally very good. Normally, you will not get a better interest rate by consolidating with a private loan. If you have both federal and private student loans, it is best to consolidate them separately, unless the federal loans are of the type that carries a higher interest rate. Second, consolidating your federal loans could offer you some flexibility, but they may not always lower your interest rate. Third, consolidating your private loans can give you a new interest rate, especially if you have a better credit score than you did when you took out the loans. Consolidating your private loans is like refinancing a loan. Whether or not you should consolidate your student loans depends on whether consolidating saves you money, makes your life easier, or is the best option for your financial situation. * One payment. If you have multiple student loans, consolidating can simplify things by combining your loans into one monthly payment. Consolidating federal loans is free through the government, so you can consolidate for this reason alone if you wish. * Longer repayment term. The standard 10-year repayment term on federal loans can make your monthly payments higher than you can afford. You can consolidate federal loans and lengthen out the repayment term to make it easier on your monthly budget but remember that you will end up paying more over the entire life of the loan. * Reduce your interest rate. For private loans or certain types of federal loans, you may qualify for a lower interest rate than you started your loan with. This is generally based on your income and credit score. 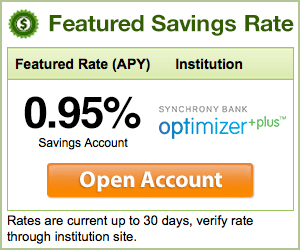 Lower interest rate = lower amount to pay overall. * Switch from variable to fixed-rate interest. If you have student loans with a variable interest rate, you may be able to consolidate to a fixed rate. What are some reasons not to consolidate? Consolidating student loans doesn’t make sense for every situation. If you have a goal in mind for what you want to achieve by consolidating, like lowering your interest rate or lengthening your repayment term, it will be easier for you to decide if consolidating is worth it. * You might lose out on federal repayment benefits. If you consolidate federal loans, you may lose future borrower benefits like income-based repayment, deferments, federal loan forgiveness, or Perkins loan cancellation. * Variable interest rates are risky. If you switch to a variable interest rate, it may start off low but dramatically increase over time—and your payments with it. * Your loans may have a prepayment penalty. If this is the case, you would have to pay the penalty, because consolidation would pay your original borrower and transfer to another. Take into account the amount of the prepayment penalty when deciding on whether or not to consolidate. Beyond just making a decision based on the pros and cons of consolidating, you want to make sure that the consolidation you are looking at is not a scam. Be cautious if a lender says they can dramatically reduce your interest rates on your federal loans or if they tell you they need to charge an upfront fee before consolidating your loans. If anything seems off about the lender, look into another option.